Although there is currently no cure for mesothelioma, there are new developments in early detection, prevention and treatment. Mesothelioma research and clinical trials are advancing treatment by leaps and bounds. There are multiple emerging treatments that show the potential to usher in a new era of treatment and bring patients another step toward a cure. 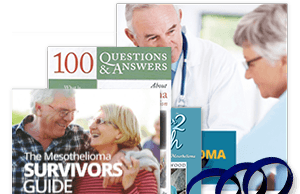 How is Mesothelioma Treatment Progressing? With newly developed treatments, the average life expectancy of a mesothelioma patient has improved ten-fold in the past 2 decades. Researchers across the globe are involved in new trials aimed at early detection and treatments that help patients live longer. 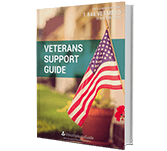 There are 2 times the number of treatment options available as there were a decade ago. There is also genomic research being conducted on the relationship of genetics and the development of mesothelioma. Researchers have found that some genes contain information in declaring when our cells grow and at what rate they grow. Researchers have found that cancers can be caused by DNA due to the DNA telling certain cells to grow (oncogenes) or to slow down and die (tumor suppressor genes). Over the past two decades, many experimental therapies have emerged. This is partially due to the growing number of mesothelioma-focused clinical trials. While some of these therapies still require additional testing, the groundwork is in place for patients to benefit from them in the future. These treatments may lead to a cure. 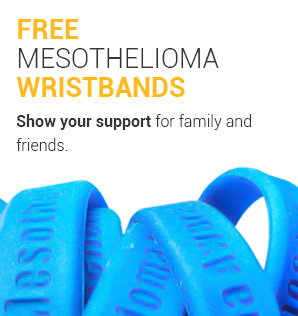 One of the best ways to improve your likelihood of beating mesothelioma is through clinical trials. 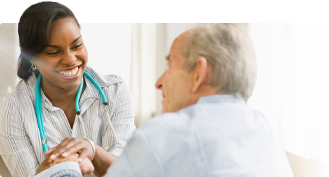 Clinical trials are currently underway for pleural and peritoneal mesothelioma patients. 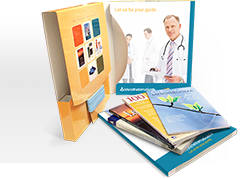 Our patient advocates can help you find and enroll in a clinical trial that matches your needs. What Can You Get From Clinical Trials? You’ll have access to new treatments not available to the general public. Join survivors such as Kendra Ferreira, who has outlived her prognosis by more than 10 years thanks to a clinical trial. 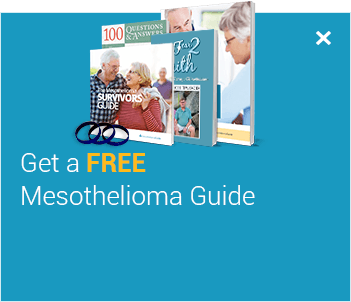 One-on-one care from America’s leading mesothelioma specialists and researchers. Another innovative option in the fight against cancer is the use of immunotherapy to strengthen the body’s own immune system. Sometimes known as biotherapy, immunotherapy uses two different approaches. 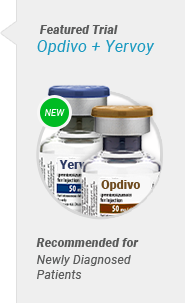 The first is active immunotherapy, which uses medication to enhance the immune system. The other is passive immunotherapy, which adds laboratory-created proteins to what the body is currently lacking. Immunotherapy is currently in clinical trials to determine its effectiveness, reliability and repeatability. The drug Avastin has recently become the first of its kind to introduce antibodies in an attempt to treat cancer and extend life. In 2012, one the largest clinical trials centered on immunotherapy began. Its purpose is to develop a pipeline of continual phase 3 clinical trials. The Cancer Immunotherapy Trials Network (CITN), which consists of 27 cancer centers nationwide, is spearheading this project. Researchers have found that immunotherapy is one of the most promising forms of therapy for mesothelioma patients. 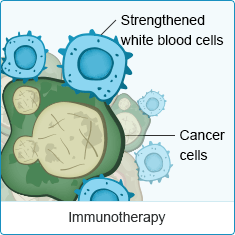 For certain forms of immunotherapy, like dendritic cell-based immunotherapy, cells are stimulated outside the body and then reinserted into the body attached to non-active virus. These cells are programmed to attack the cancerous cells. Immunotherapy is being used in large cell lung cancer and mesothelioma, bringing to light possible treatments for later staged cancer patients, and hopefully an eventual mesothelioma cure. Get involved in clinical trials testing new immunotherapy treatments today. Mesothelioma is caused by asbestos exposure, but not every person exposed to asbestos will develop mesothelioma. Certain people are more likely to develop mesothelioma because of DNA mutations. Researchers hope that genetic testing can help identify people at higher risk of developing mesothelioma. Earlier Diagnosis: The most important benefit of genetic testing is that doctors may be able to diagnose patients earlier. Doctors can use genetic testing to screen their patients who have been exposed to asbestos for mutations that may cause mesothelioma. Personalized Treatment: Researchers are working to develop more personalized treatments for mesothelioma. New treatments are being created for patients with certain genes. Doctors can choose specific treatments based on their patient’s DNA. More Accurate Prognosis: Doctors can use a patient’s genetic makeup to give a more accurate prognosis. Genetic information can also help doctors decide which treatments will be effective in improving a patient’s prognosis. Many cancers and illnesses are caused or affected by genetic mutations. Sometimes patients are born with these mutations but carcinogens, like asbestos, can alter DNA as well. Genetic testing can help doctors identify patients with the mutations that could cause mesothelioma. Photodynamic therapy utilizes light reactive chemicals called photosensitizers. When these chemicals are activated with light, oxygen is released that kills nearby cancer cells. This may also keep certain blood vessels from continuing to feed a growing tumor, stunting the tumor’s growth. The photosensitizers are introduced intravenously and absorbed by the cancer cells. This either weakens the cancer cells, making them more susceptible to chemotherapy and radiation, or outright kills them. Some side effects are slight discomfort and bruising. Photodynamic therapy is a growing science, and the search continues for more powerful chemicals and medications to maximize the effectiveness of this method. Dr. Joseph Friedberg is pleased with the headway taking place regarding photodynamic therapy. He found that patients treated with a pleurectomy/decortication and intraoperative photodynamic therapy have lived up to two years longer than initially told. Virotherapy is an emerging type of treatment that uses viruses to fight cancer. Virotherapy can use several different types of viruses such as vaccinia, herpes, or measles. Researchers harness the power of viruses without the harmful effects by modifying them to be safe for healthy cells. Virotherapy treatments work in 2 different ways. Some virotherapies modify a virus to attack cancer cells. Other virotherapies infect cancer cells with a virus to stimulate a response from the immune system. GL-ONC1 is a modified form of the vaccinia virus that can infect mesothelioma cells. GL-ONC1 replicates and grows inside the tumors, destroying mesothelioma cells one by one. The virus also emits light that is visible on CT scans making it easy for doctors to track the progress of the virus as well as the cancer. MV-NIS is a form of the measles virus that has been modified to target mesothelioma cancer cells without harming normal cells. Researchers also believe the drug will trigger the immune system to attack the tumors. This drug has already proven effective in treating other types of cancer. The idea for virotherapy developed over time as doctors observed strange reactions from cancer patients when they caught a virus. Doctors noticed cancer shrinking in several patients who were infected by a virus. In 1896, a 42 year old woman with leukemia went into remission after catching the flu. In a 1970s case, a young boy with a type of lymphoma contracted the measles. A tumor on his eye shrank and disappeared. Mesothelioma specialists prefer to treat this cancer with several different types of treatment to maximize their effects. The concept behind Surgery for Mesothelioma After Radiation Therapy (SMART) is as simple as the name. When radiation and surgery are given together, surgery is usually done first and then radiation is performed after. The researchers who developed SMART decided to try treating patients with radiation first and then surgery. The results with SMART were incredible compared to the results from a study testing surgery first. In a study testing SMART on late stage patients, 84% of patients lived 3 years or longer after the treatment. In a study of patients who received surgery before radiation, the reverse of SMART, only 33% lived 3 years or longer. Without SMART, the average survival time for late stage pleural mesothelioma is about 4 to 12 months. Treatment with SMART could help patients with pleural mesothelioma significantly increase their survival time. Gene therapy is a promising treatment option that is still in the testing stages. It aims to restructure flawed cancer cells. This is accomplished by introducing healthy genetic material to the affected area. Because cancer cells are often filled with non-functioning genetic material, these normal, functioning genes may help rebuild broken cells. “Suicide gene therapy” delivers genetic material that weakens tumors, making them susceptible to treatment. Other genetic material fed to the cancer can also keep it from spreading to lymph nodes and other organs. Gene therapy has the capacity to damage or replace unhealthy cells. Healthy genetic material is delivered through strategic viruses or bacteria that connect with the affected cells and transmit their contents. As healthy DNA enters the mesothelioma tumor, dysfunctional genes become functional. While gene therapy is not a complete solution itself, it may improve effectiveness for treatments like chemotherapy and radiation. Gene therapy is still in the testing stages, so patients interested in clinical testing should speak with their mesothelioma specialist. Dr. Sterman even makes note of one patient who was diagnosed with mesothelioma in 1998 that was treated with one dose of gene therapy who survived more than fifteen years past their diagnosis date. Studies show that limiting hormones can decrease cellular growth, including tumors. Hormone therapy is an emerging treatment for breast cancer. There are a number of medications available that limit cancer-friendly hormones, including Dexoamethasone and Megestrol. Hormone therapy is expected to rise in use over the next decade. As hormone therapy diversifies beyond breast cancer, there is potential for it to become a mesothelioma treatment. The trial concluded that in most cases, there was a significantly improved survival time in patients and a greater antitumor activity compared with the dose of just the cisplatin. If a patient chooses to take this route of treatment, science shows that it is better to take the combination of these two drugs than just one alone. Clinical trials mainly focus on patients with pleural and peritoneal mesothelioma. These trials mainly focus on treatment methods that include chemotherapy drugs, surgery, and other groundbreaking tactics. Clinical trials happen after the drug has been developed but before the drug can be released for public use. 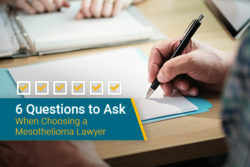 In qualifying for a clinical trial, a potential candidate must reach some determinants, such as a specified age or gender as well as have certain health requirements and it may be dependent on their mesothelioma type and stage. 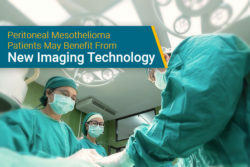 Although there is currently no mesothelioma cure, there is heavy research being done regarding the treatment of the disease as well as attempting to find a cure altogether. There is promising research being done on genetics and asbestos exposure. 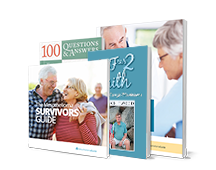 There are continuous clinical trials being done on new forms of treatment as well as emerging treatments that are being tweaked to encompass everything concerning a mesothelioma cure. Find out more about these trials in our free Mesothelioma Guide. History of Oncolytic Viruses: Genesis to Genetic Engineering. Molecular Therapy. Retrieved from: https://www.sciencedirect.com/science/article/pii/S1525001616313314. Accessed: 10/10/18. Photodynamic Therapy. American Cancer Society. Retrieved from: https://www.cancer.org/treatment/treatments-and-side-effects/treatment-types/photodynamic-therapy.html. Accessed: 10/10/18. A Feasibility Study Evaluating Surgery for Mesothelioma After Radiation Therapy “SMART” Approach for Resectable Malignant Pleural Mesothelioma. American Thoracic Society. Retrieved from: http://www.thoracic.org/members/assemblies/assemblies/thoracic-oncology/resources/JTO-SMART-2014-article-from-Peikert-2014.pdf. Accessed: 10/10/18.